A new year means that it’s time to get organized! 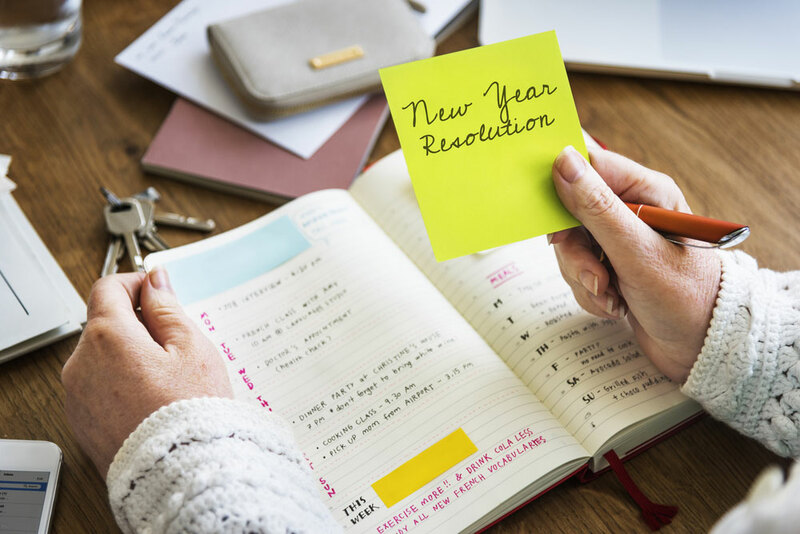 In our Affordable Family Storage blog, we tackle the best way to optimize your time and your home for the new year! Read on to find out more! If you don’t already have one, the beginning of the year is a great time to sit down and set up a detailed budget. There are a lot of great apps and online templates to help you determine what percentage of your income should go to what. If you already have a budget, it’s still a good idea to sit down at the beginning of the year and evaluate what is working for you and what needs to be tweaked. As much as possible, it’s helpful to organize by digitizing your documents. However, there will be paper items that you need to have physically on hand. So, for those things, it is a good idea to come up with a good filing system. Buy a filing cabinet or folders and file away all of your essential documents. Make sure to label the folders and files so that you can easily find what you need when the time comes. Buy a big calendar and hang it on your wall. Whether it’s just for you or for your whole family, it’s good to have a place to record important dates. It’ll help you stay focused and organized during the year. Make sure to check in with your calendar at the beginning of each week so you can arrange your time accordingly. When a new event or commitment pops up, don’t forget to record it on your calendar. It’s important to start the new year with as little clutter as possible. If you don’t have it in you to go through every room, pick one or two rooms to clean out. Sort things into piles that you want to keep, give away, or throw away. You will feel more prepared to take on the new year if you have a clean and organized space to live in. If you have some things that are taking up too much space in your home, but you can’t bear to part with them then consider getting a self-storage unit at Affordable Family Storage in Wichita. We have a wide selection of units for you to choose from. Contact us to find out how we can help meet your storage needs!